Refurbs Flintshire supports the environmental well-being agenda by conserving and protecting the physical and natural environment through the promotion of sustainable waste management practices. 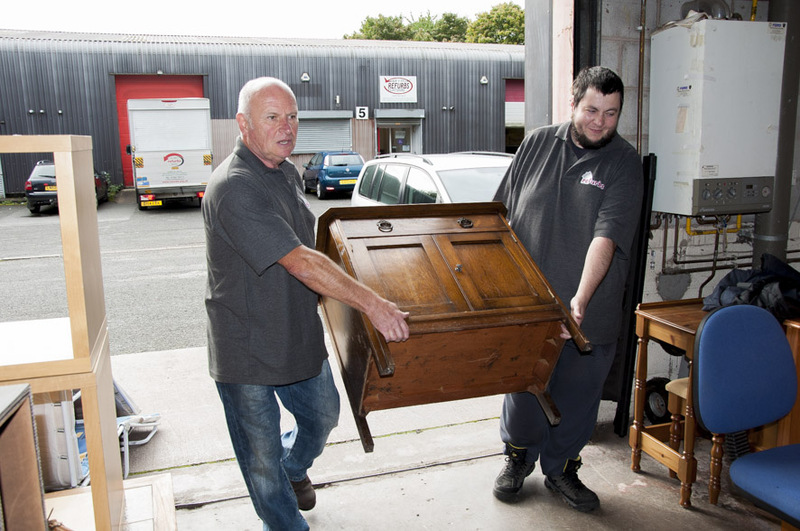 They do this by accepting donations of surplus furniture and appliances from householders and by providing a ‘bulky waste’ collection service for Flintshire County Council, and refurbishing them for re-use; and where soft furnishings cannot be re-used, by deconstructing them for salvage. Both of these measures reduce waste going to landfill. They support the social well-being agenda in two important respects. Firstly, by providing quality, refurbished household furnishings and white goods, particularly to people experiencing financial or social hardship and who would otherwise not be able to acquire essential furnishings or appliances for their homes, or who would be tempted to buy new items from suppliers on credit, at onerous interest rates and risking punitive terms in case of default. Secondly, in providing this service they provide employment opportunities particularly aiming to recruit and train people who have experienced long-term unemployment or who are facing other barriers to gaining work. In the last year they have reused/recycled 14,123 items, diverted 509 tonnes of waste from landfill, deconstructed 9,188 items of furniture diverting a further 398 tonnes from landfill, provided volunteering opportunities to 30 individuals and recruited 6 long-term unemployed people back into jobs. Play it Again Sport is a South Wales based social enterprise that encourages local people and organisations (including rugby, football, tennis and karate clubs from the local area and further afield) to donate unwanted sports kit to enable as many people as possible access sport. People & Work, trading as Play It Again Sport (PIAS) and Too Good To Waste (TGTW) are the key partners, alongside the local cluster of Rhondda schools. TGTW has provided retail and business support which has helped to quadruple their income which in turn has helped to support initiatives like their primary inter-school sports days which has enabled over 500 children and 100 parents to take part in sporting activities. They have also provided individual donations of kit to those who have been referred by colleagues (e.g. a young child who didn’t have appropriate shoes for school; a curling team which didn’t have matching tops to play in a competition). As well as providing volunteering and work experience opportunities for the local comprehensive school. Being able to supply sports kit at a very low price (or free) has meant that many community members have been able to get into sport without the usual financial burden. The profits made have enabled schools to play each other in a wide range of sports with an emphasis on inclusion (i.e. deliberately targetting those not in elite teams already). In addition their work helps people to clear their clutter but avoid landfill. 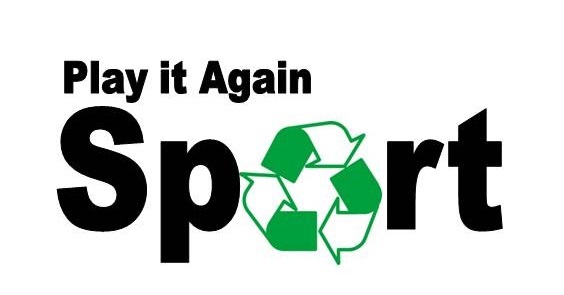 If any donated sports kit is not suitable for re-use as clothing, it is recycled as rags. DEG is a social enterprise supporting community led action across northwest Wales to increase the local area’s ability to cope with the rising cost of fossil fuels and improve the natural environment. Their work is based on collaboration and cooperation, not competition and control. They strive to develop all projects in partnership and include stakeholders in decision making as often as possible to share benefit broadly. They provide suggestions for methods of engagement with community members for community groups to use whilst DEG works to develop the involvement of strategic partnerships.Therefore, each community group works within their community to strengthen relationships with individuals, local businesses and local councillors whilst DEG identifies and introduces strategic partners from outside the community. During 17/18 DEG developed projects with six community energy groups and partnered with two commercial renewable energy developers. DEG also raised funding (£249k) for the Cyd Ynni project that now employs two staff for 3 years, helped Ffarm Meolyci develop a £1.3m WEFO project and YnNi Llŷn to create a £2.5m WEFO project, and helped Ynni Ogwen to develop a project across eight community buildings.